Let’s do things a little different this summer and give the classic basics a new twist. 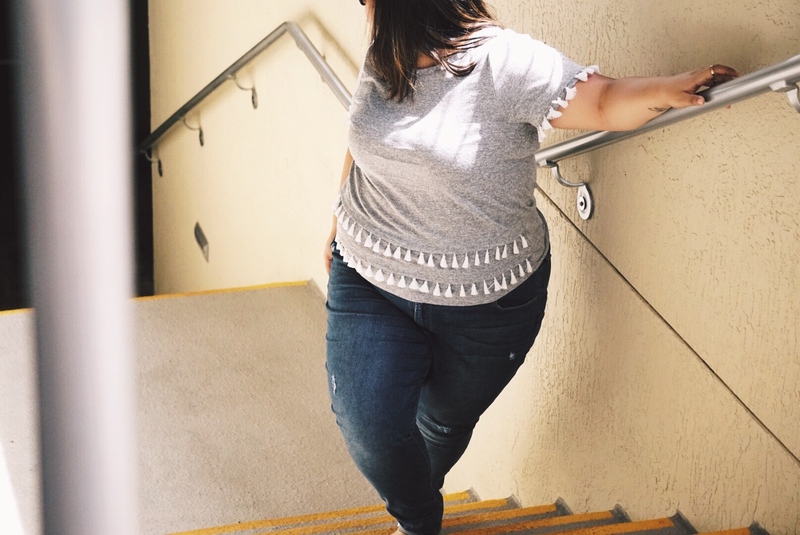 Without hesitation, I’m a tee + jeans kinda girl almost always. What’s awesome about a new season is indulging in their trends — this summer we want shoulders baring, colorful texture play, and edgier accessories. 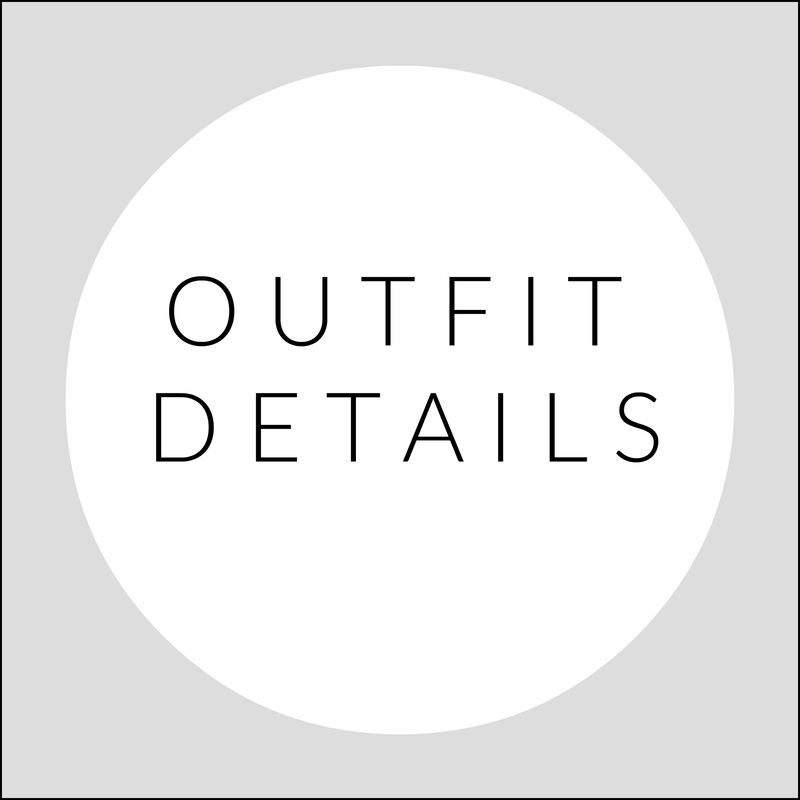 I like to call pom-poms and tassels props on clothing. 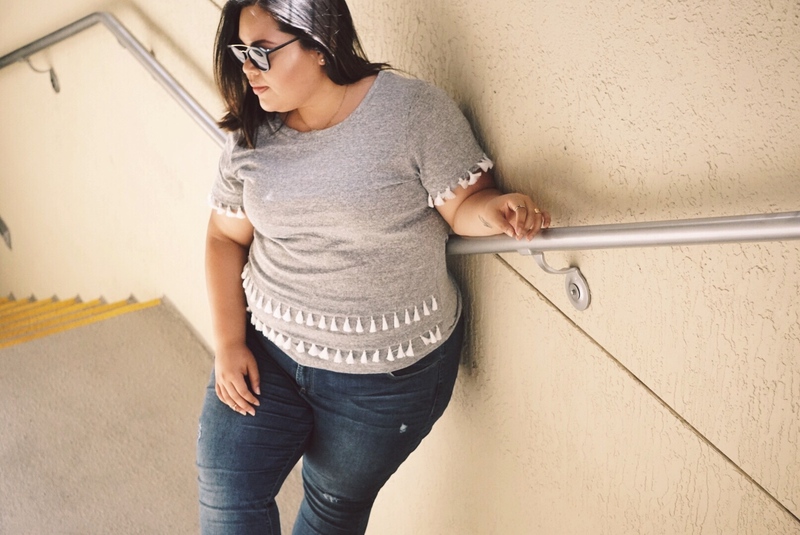 Take this what-could-be basic gray crew neck for example, the tassels are placed to subtly enhance this top’s look. Easy, right? Now add a pair of fitted denim to the mix. 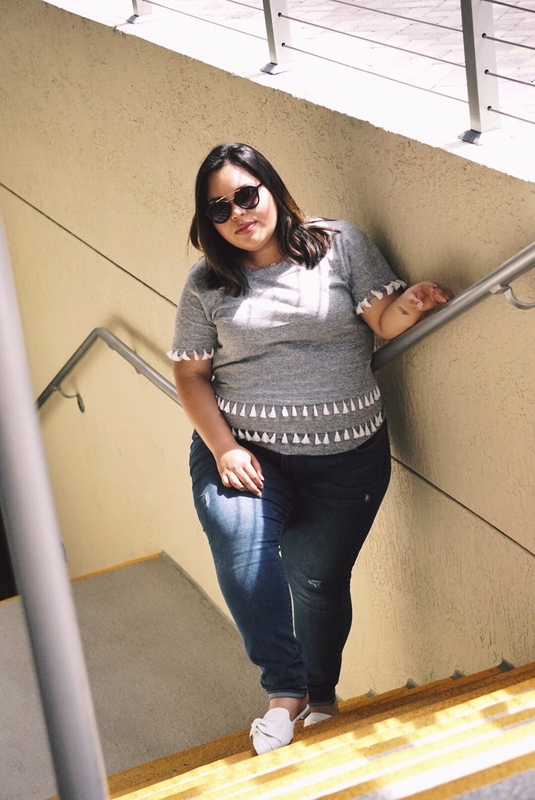 Choose a pair of jeans that fit like a glove and accentuate your body the way it should, these Old Navy Rockstar skinnies do exactly so. Some distressed denim detailing doesn’t hurt either! Aside from sneakers, chic flats will be quite common for summer. Never thought I’d find a pair with an ideal width and amazing comfortability until these Maxence x ALDO. All white with a bow — SOLD! After tinted moisturizer, a little bronzer and sleek shades, meet your new summer tee + jeans look. Am I right?